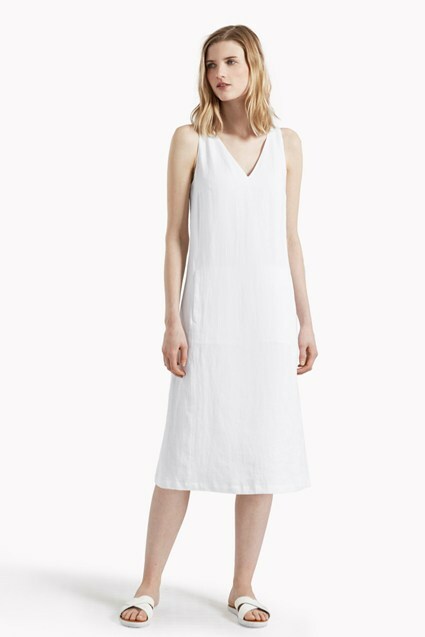 A lightweight cotton-linen blend makes light work of warm weather dressing in the Cotton Linen Dress. 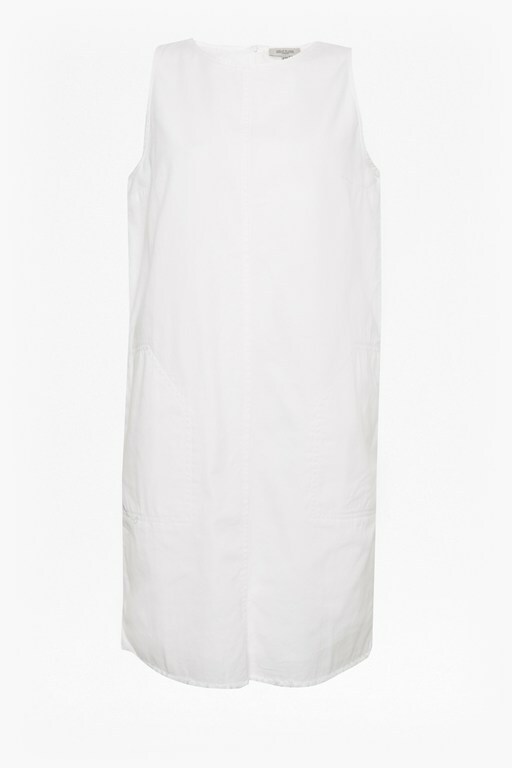 The sleeveless dress has a fuss-free silhouette with a form-skimming fit, perfect for your holiday wardrobe. 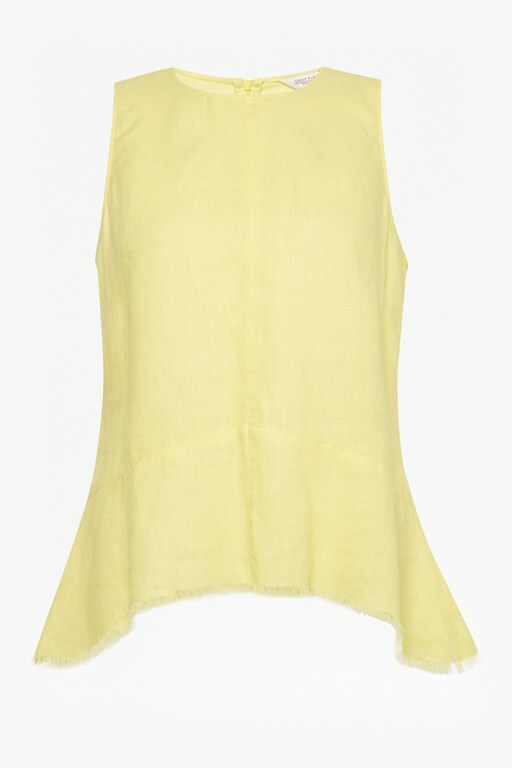 The versatile dress is finished with a frayed hem and two front slip pockets. 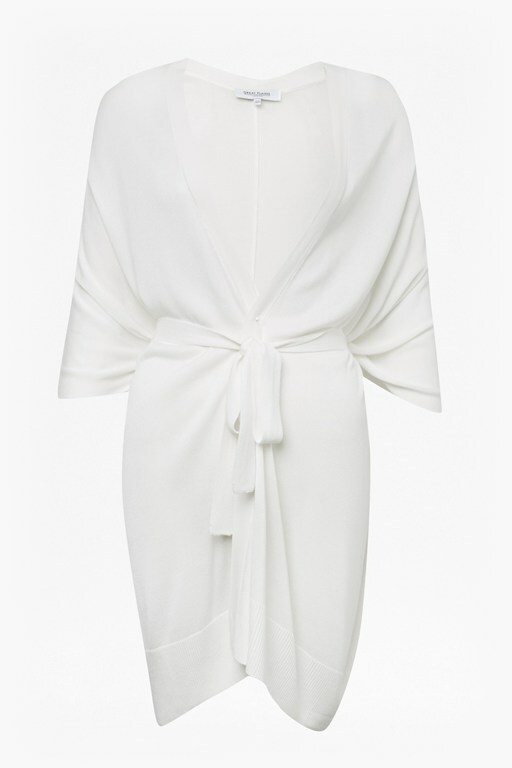 Slip into this summer essential and pair with sandals during the warmer months.